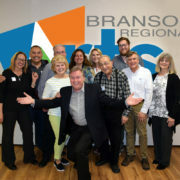 Lunch & Laugh with the Comedy of Jim Barber and benefit the Branson Regional Arts Council too! 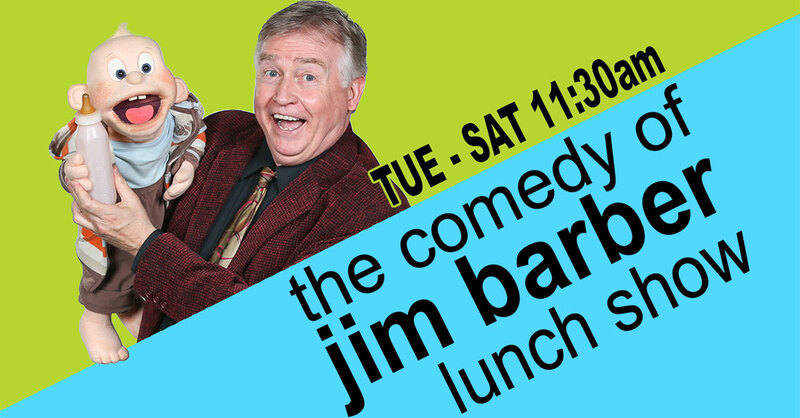 The Jim Barber comedy lunch show is playing through October 27th at the indoor Pavillion Theatre at the famous Shepherd of the Hills Attraction in Branson, Missouri. 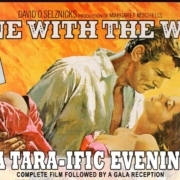 Your meal includes: Garden Salad with fresh made Ranch Dressing, Parmesan Crusted Chicken, Herbed Green Beans, Rolls, Texas Fudge Cake, and a drink. 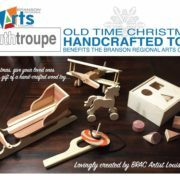 A PORTION OF ALL TICKETS PURCHASED HERE WILL BENEFIT THE BRANSON REGIONAL ARTS COUNCIL. 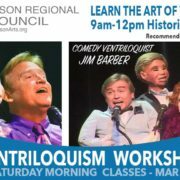 Enjoy a delicious lunch and be entertained by the creative comedy of internationally renowned ventriloquist Jim Barber and his wacky cast of characters! 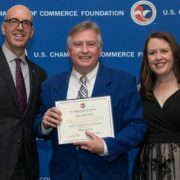 Jim Barber is not only the Executive Director of the Branson Regional Arts Council, but has been featured on many national television shows including the Late Show with David Letterman. He’s hosted USO shows around the world entertaining our Troops, and was voted the Campus Comedy Entertainer of the Year, having performed at over 2,000 colleges and universities across the United States. As a Branson headliner, he has shared the stage with many notables such as Glen Campbell, Eddie Rabbitt, The Osmonds, Tony Orlando, and many more! 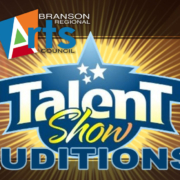 Don’t miss this special opportunity to experience a fun show and delicious meal, and help raise funds for the Branson Regional Arts Council at the same time!